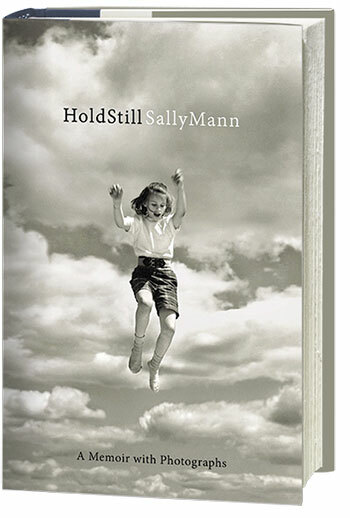 I’ve loved Mann’s work ever since she blazed into the headlines with her 1992 book Immediate Family—I’ve followed her since into some strange and dark territory, and knew, from the essay excerpt published in the New York Times Magazine a few weeks ago, that her new memoir Hold Still would be fascinating. I also loved Ann Patchett’s 2011 novel State of Wonder, which can roughly be described as a sort of contemporary feminist version of Conrad’s Heart of Darkness. A photographer-turned-memoirist in conversation with a novelist—needless to say, it was catnip to my visual-verbal brain. What I didn’t expect, though, was that the event would be so laugh-out-loud funny. I’m not sure how well Mann and Patchett know each other, but they had a fantastic rapport on stage. From the beginning, there was a sort of Southern hospitality, let’s-not-take-ourselves-too-seriously feel to the evening, with Patchett proving herself a fearless and hilarious interviewer. 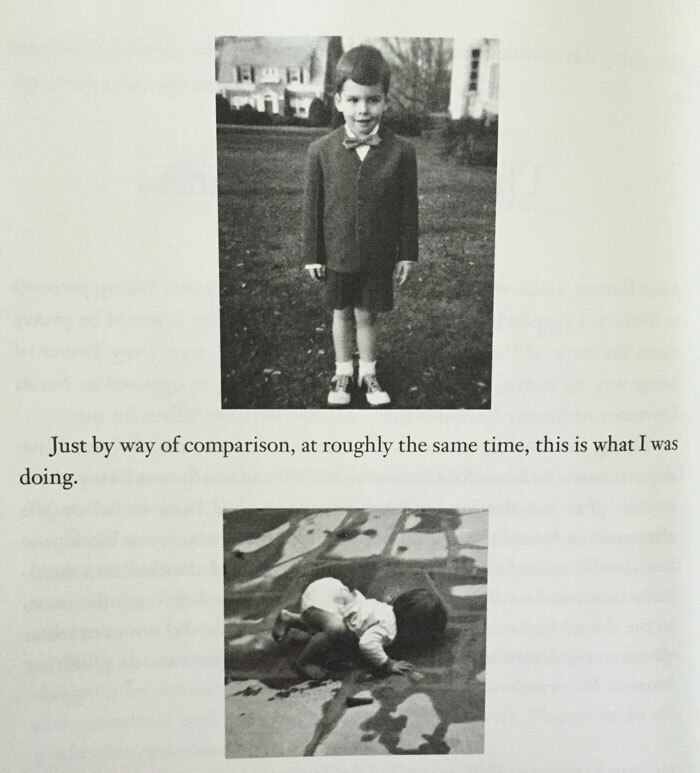 From outing Mann as a hoarder (“the fact that you still have those six darling little dresses from your childhood—that just seems so weird to me,”) to her teasing dissatisfaction with one of Mann’s answers (“Do better,”) her questioning was zingy and probing in just the right way. I’ve been to so many events where, for one reason or another, an interview has fallen flat—so it was delightful to see one where both participants not only uncovered some golden nuggets but clearly had a great time. Before I relate some highlights of the evening, though, I want to spend few paragraphs on Mann’s book. I’ve reflected before that only a lucky few people can express themselves well both visually and verbally, and with Hold Still, Mann has proven herself one of them. Of course, even if she wasn’t a very good writer, many of us would want to read her memoir anyway. Mann has had a fascinating life, partly because of her Southern gothic heritage, and certainly because of her role in the early 1990s as a lightning rod for the culture wars, when her intimate portraits of her children brought out every Puritanical bone in the American body politic. Bam: way to open a chapter. Though the observation isn’t particularly new (see Kathryn Stockett’s The Help—which I loved despite the backlash), it’s expressed with an appealing, punchy energy, pulsing underneath with confusion and a desire to get under the surface of this complicated territory. That’s one thing. But then, take the line from the Prologue in which Mann describes a photograph as “cut from the continuum of being, a mere sliver, a slight, translucent paring from the fat life of time; elegiac, one-dimensional, immediately assuming the amber quality of nostalgia: an instantaneous memento mori.” That phrase “a slight, translucent paring from the fat life of time” took my breath away when I first read it. I’ve read a lot about photography, and have struggled to put its power into words myself, and there isn’t much verbiage about the medium you can throw at me now that doesn’t seem a bit stale and overused. But Mann’s description was utterly fresh and original. It’s a line that, like her best images, shimmers with an essential truth and just seems incredibly natural, despite all the work that must have gone into making it. Success is no guarantor of confidence. That’s right: one of America’s most celebrated living artists regards herself as a borderline imposter. “I pick up the camera and say, I’m going to make a terrible dodo of a picture, until maybe by chance, like a monkey with a typewriter, I’ll make a good one. But otherwise, it’s botch to botch,” Mann said. I was reminded of Franz Kafka’s constant feeling of failure, expressed in his diaries. Later, Mann did admit that, at sixty-four, she’s “beginning to feel the first little tendrils of confidence seeping in a bit.” That tension between self-doubt and confidence is interesting, I think, and crucial to the act of creation. Too much of either could clearly derail a career—but I’m glad Mann is letting up on herself a bit at this stage in her life. Great rewards come from hard work. Mann, who decided to write her memoir after being invited to give the prestigious Massey lectures at Harvard, and struggling over writing them, said the only way she could write her book was to “put on the harness every day and plod on like a peasant, seven days a week.” Conversely, she said, with photography there are images she labors over and others that seem to come as a gift from the blue. Patchett wondered if that was an illusion, saying, “For me, it comes really easily on the twenty-first day after I’ve spent twenty days sitting and tearing my hair out.” She also observed that she doesn’t see a big difference between seemingly-inspired and labored-over writing. “A lot of times I go back and look at it, and those lines that came from plodding, obdurate hard work—they’re really good,” she said. At this point, it would be remiss of me not to mention three novels inspired partly by Mann’s images. 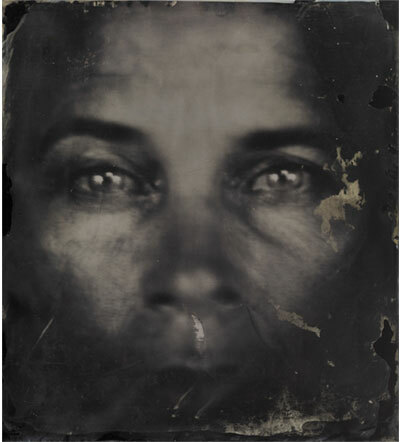 In Black & White by Dani Shapiro, the female protagonist is deeply scarred by her history as a model for her mother, a famous and aloof photographer whose images bear a striking resemblance to Mann’s. I found Shapiro’s treatment of her character’s trauma melodramatic (and, as I noted in a review for the San Francisco Chronicle, very different from what Mann’s daughters have expressed). More interesting to me was the Mann-inspired chapter of Whitney Otto’s Eight Girls Taking Pictures, in which Otto is loosely inspired by Mann but transposes her blood-soaked Southern history to the comparative lightness of California. Finally, though the famous photographer in Kathryn Harrison’s Exposure is a man, Harrison probes the ethical issues of portraiture quite effectively, and her character’s trauma seemed more appropriate given the sexual politics of the father-daughter relationship. So that’s it, except to say that both Mann and Patchett seemed refreshingly unpretentious, down-to-earth, and—as expressed before—unexpectedly funny. 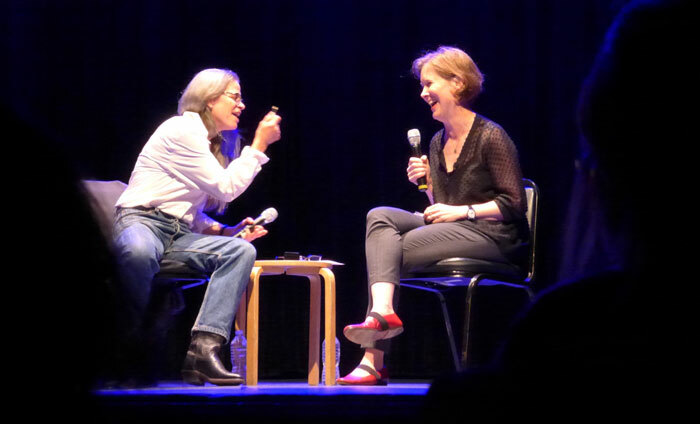 If you happen to be in Nashville next Thursday, you can catch a reprise of the Sally and Ann show at Patchett’s wonderful bookstore Parnassus. For everyone else, I hope this post has opened a small window onto a memorable event, and has inspired you to dive into the great work of both Patchett and Mann. Visit Ann Patchett’s Amazon page here. You’re welcome! Thanks for reading and taking the time to comment. Sarah, I wish I could have been there. It sounds like an incredible exchange between Mann and Patchett. Great post! Thanks, Robin! I was lucky I found out about it 2 days before it happened. It was my last evening in NYC before leaving for my London trip, but I couldn’t pass it up. I wish I was there, too. Very nice post! Would have been good to have your company, Paola! Reblogged this on Sensory . Thanks for the shout-out, Lia! Thanks for sharing – I’ve been an admirer of Mann’s art since I saw the documentary Blood Ties, and I’m glad to get this happenchance update! Oh, I don’t think I knew about that documentary. Thanks for bringing it to my attention! It was Oscar nominated as best short doc in, I think, 1994, so it should be relatively easy to get hold of. It was made while the Family Matters controversy was still live. Honestly, I didn’t know of either of them. but it has interested me enough to find out more. I’ve been living in a cave it seems. Excellent article. Thank you opening my mind! Love this! Excellent article, and great to learn something new. Reblogged this on Writing is Art. 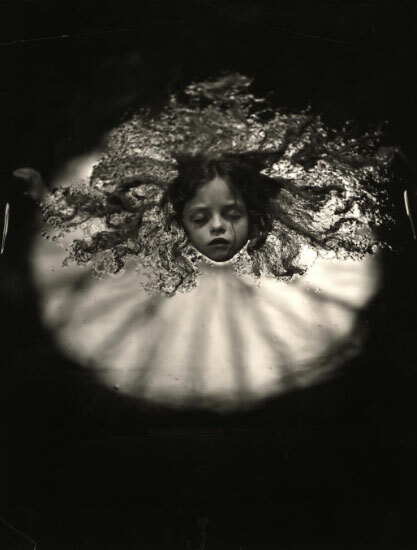 I’ve seen and enjoyed Mann’s photographs in the past. Now I’ve read this I want to go out and buy her book; it sounds brilliant. How fortunate that you get to see her being interviewed! Thanks for this. Thank you sonniq! I’m glad to have introduced you to two great artists. Life is short but art is long! I totally agree. When people complain about all the time spent on computers – without them, the chance to find out about people and events were almost impossible. This sounds like such a fascinating talk! 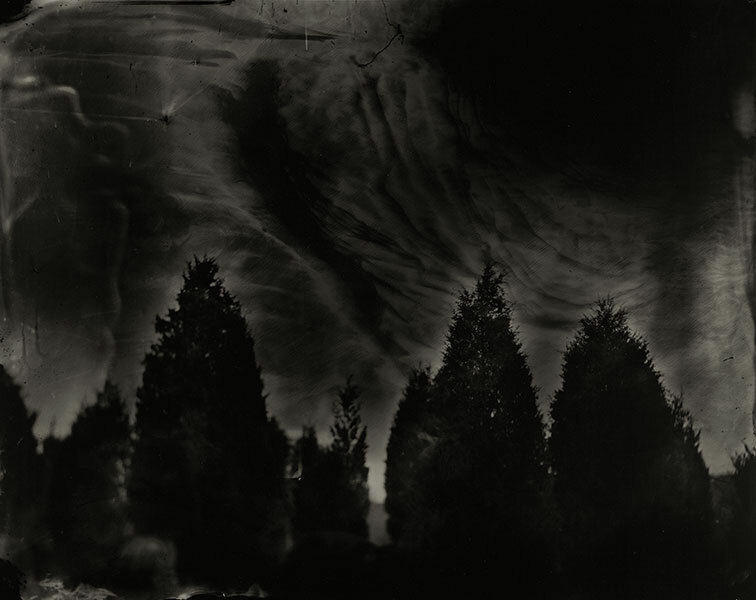 I hadn’t heard of Sally Mann before and haven’t read Ann Patchett’s work, but I always love when two creatives from different fields coming together. The ideas of photography being ‘like nonfiction’ and writing being harder than photography because you have to ‘create everything’ are interesting to me. I’ve always thought of photography as very tricky – ethically complex, as Mann mentioned – because almost by definition you’re showing something that exists, a truth. However, as the photographer (and/or editor) you also have the task of creating the context or story around that truth. In my mind it’s akin to writing historical fiction. Does this ring true for you as a photographer and writer? Thanks for this, lifeofskip–I think it’s a really interesting observation. 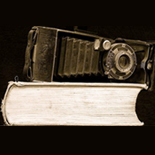 I’ve never before thought to compare photography to historical fiction, but it’s an intriguing idea. The photographer is shaping the present moment rather than the past, but I think the comparison is spot-on in that photography and historical fiction are both blends of reality and interpretation/storytelling. Fodder for a future blog post, maybe! Thanks for sharing Sarah! This sounds like a great time. This is a lovely article! Thank you. I am very gratified by the attention this article has received. Very interesting and insightful article. I would love to have seen this interview. It sounds like a peek into the minds and lives of two true artists. 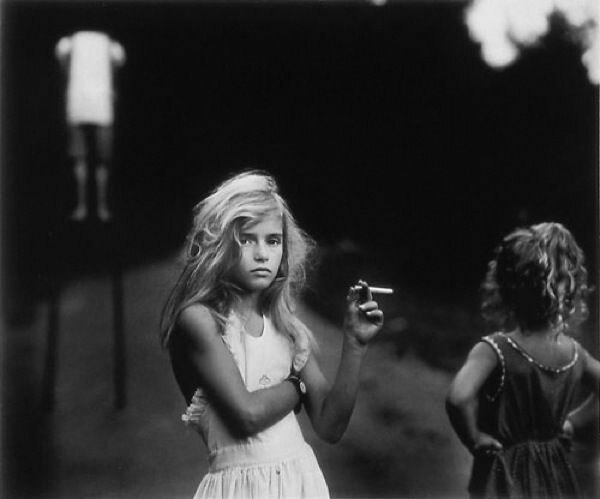 I will now want to look for Sally Mann’s memoirs. I am very glad to hear that she gets her subjects’ okay to use their images. Reblogged this on SCRITTORI E SCRITTURE. Whereas Ann Patchett sounds slightly frightening to me, she also seems to be formidably fun. I like her. LOL, inkinsky, I think you’ve articulated exactly how I felt about AP. Maybe she should adopt “slightly frightening but formidably fun” as her tagline. Reblogged this on Nyafa M.. Thanks, Philosofishal. Thinking about it, I feel that “the notion that daring or interesting life experiences along fuel good writing,” as you eloquently put it, was fostered by certain very macho male writers–Hemingway, Kerouac et. al–and was not a default assumption before, say, the late 19th century. Think of Charlotte Brontë and Jane Austen, who basically sat in their parlors and wrote beautiful fiction. A while ago, in a blog post about Kerouac (http://wp.me/p25Qfq-oK), I cited Joyce Johnson’s Beat Generation memoir ‘Minor Characters,’ in which she talks about being in a class of aspiring female writers at Barnard in the 1950s and having “grey-haired, craggy-faced” Professor X tell them that, “if you were going to be writers, you wouldn’t be enrolled in this class… you’d be hopping freight trains, riding through America.” Somehow, Johnson managed to write a luminous memoir and several novels without doing this. I loved the title of this so much, i had to reblog it! I enjoy both aspects of writing and photography. Each tells its own story. Sometimes one is easier then other. Great piece! And the focus on “the slice” is lovely. I work a lot with word-photo interaction, and I find it terribly difficult for the two to co-exist without one dominating or limiting the other. Thanks again for a most enjoyable piece-wish I’d heard the talk…..
That’s interesting, bonesnsnow — please post your website URL if you have one. Sarah- I actually have two sites, http://www.oldbonesnewsnow.com is a photo/poetry blog on WordPress; and http://www.jfinkimages.com which is more of a curated photo site. Still a novice in the blogging arena. me too! it looks like it was a tremendous evening! 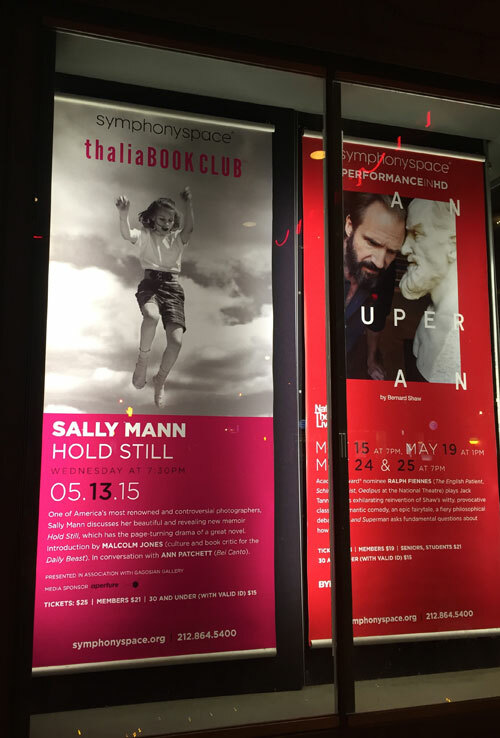 This entry was posted on May 14, 2015 by sarahjcoleman in Art Photography, Books, Events, Novels and tagged Ann Patchett, Bel Canto, Hold Still, Immediate Family, Lexington, Parnassus, Proud Flesh, Sally Mann, State of Wonder, Symphony Space, Virginia.